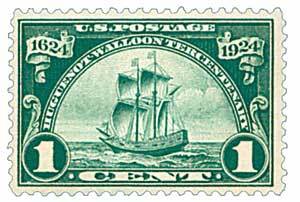 #620 – 1925 2c Sloop "Restaurationen"
First City: St. Paul, MN; Minneapolis, MN; Benson, MN; Northfield, MN; Algona, IA; Decorah, IA; Washington, D.C. 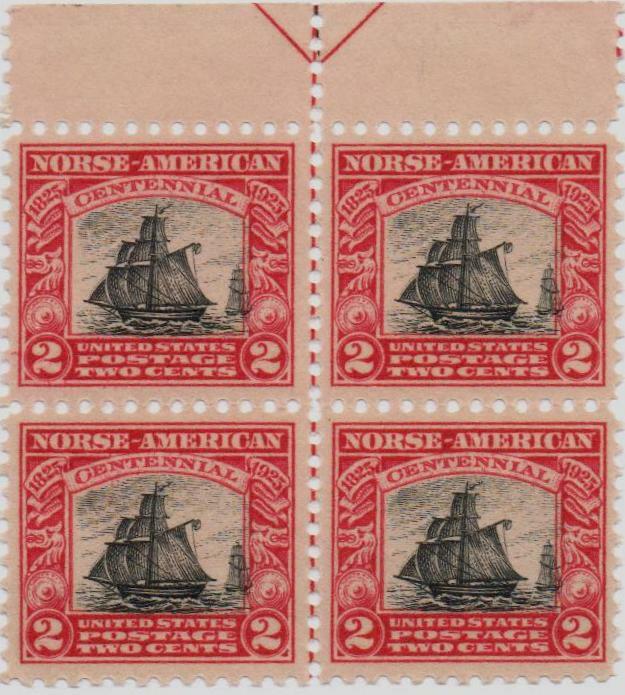 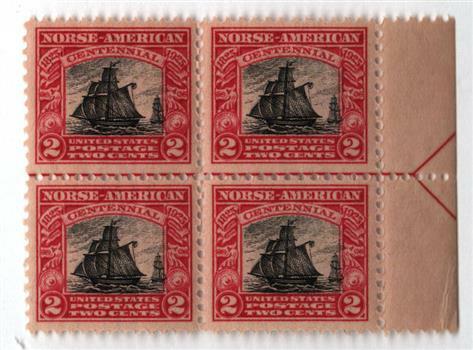 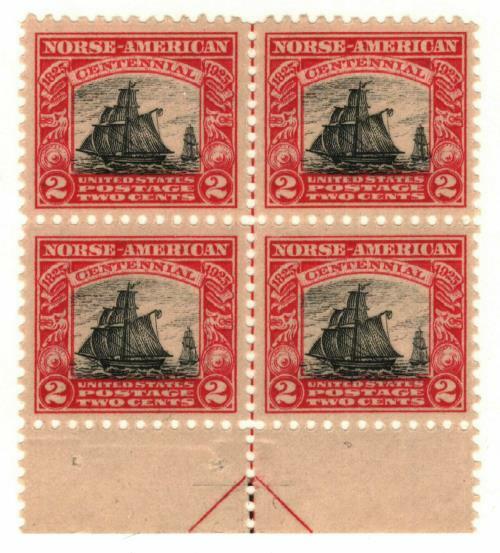 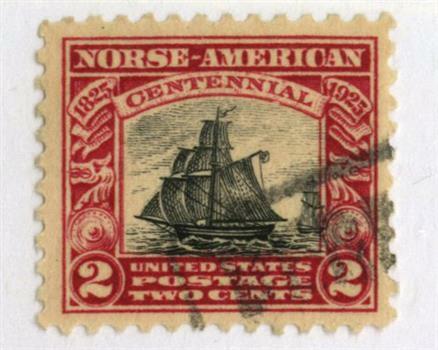 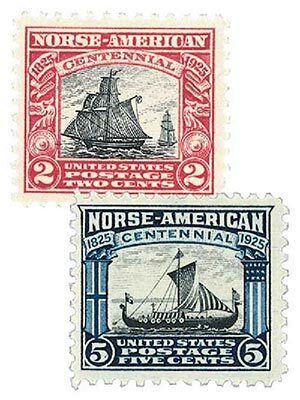 The Norse-American issue honors two important events in the history of Norwegian Americans – the arrival of Leif Ericson and the first Norwegian immigrants in America. 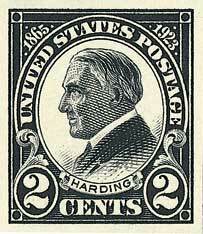 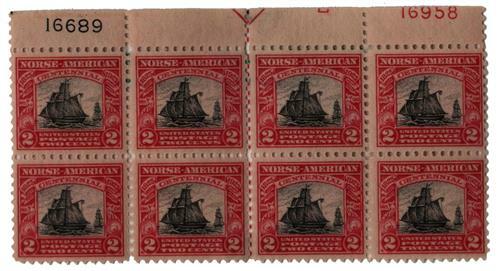 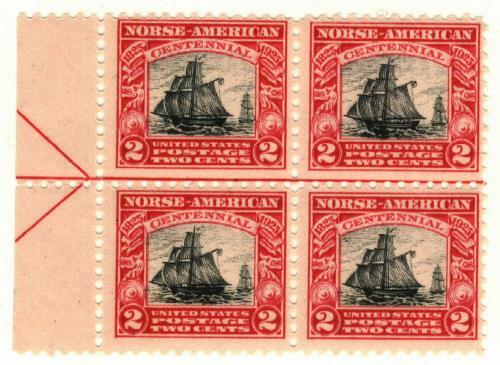 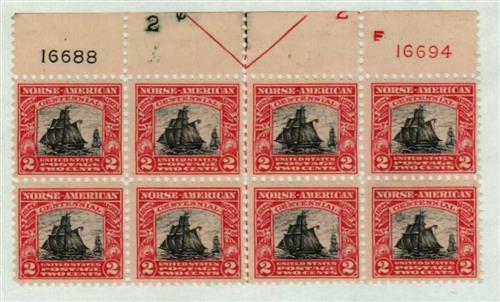 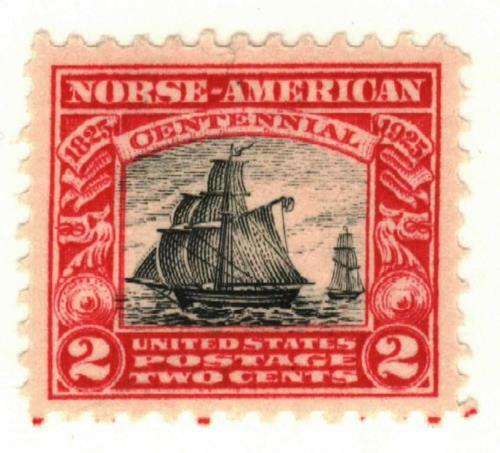 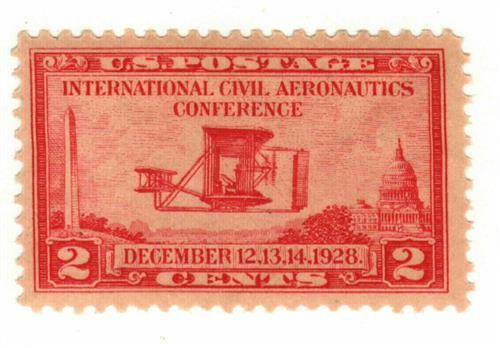 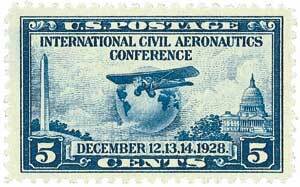 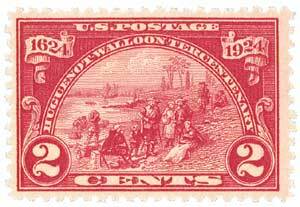 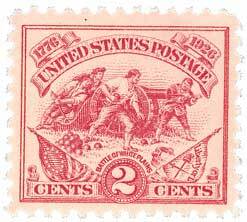 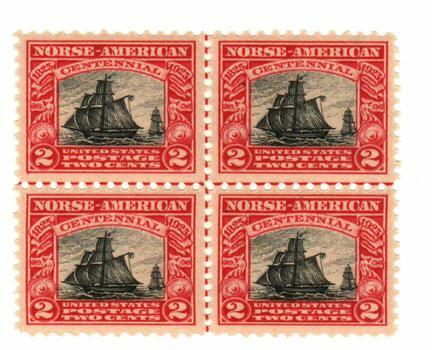 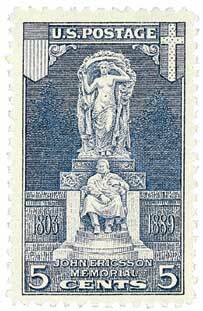 These were among the handful of stamps produced since the 1901 Pan-Americans to feature bi-color printing, a costly and time-consuming process. 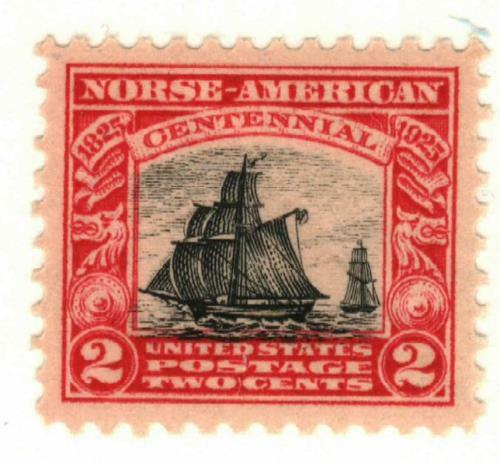 Because the stamps took so long to print, they were produced in much smaller quantities than other stamps of the day. 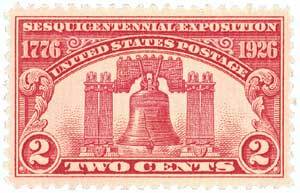 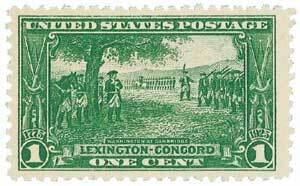 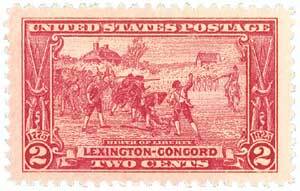 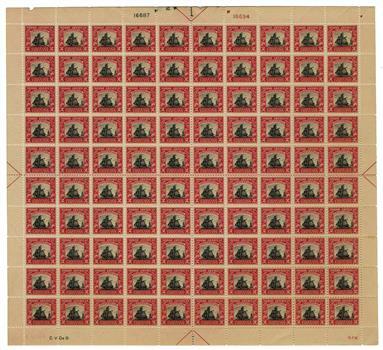 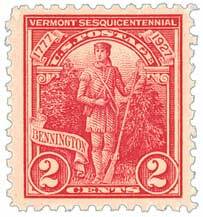 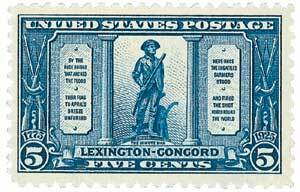 Producing large quantities of the stamps was difficult too, because they were printed in sheets of 100, rather than 400, like most stamps at that time. 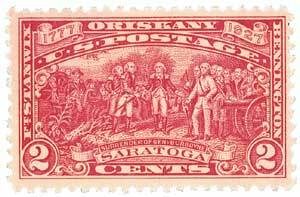 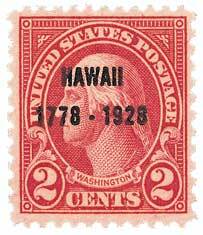 When the stamps were released, they were in great demand, with post offices around the country receiving several calls for them daily. 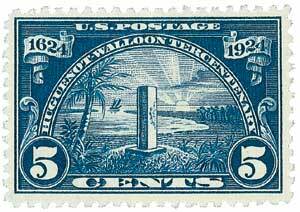 A second printing was suggested, but was far too costly. 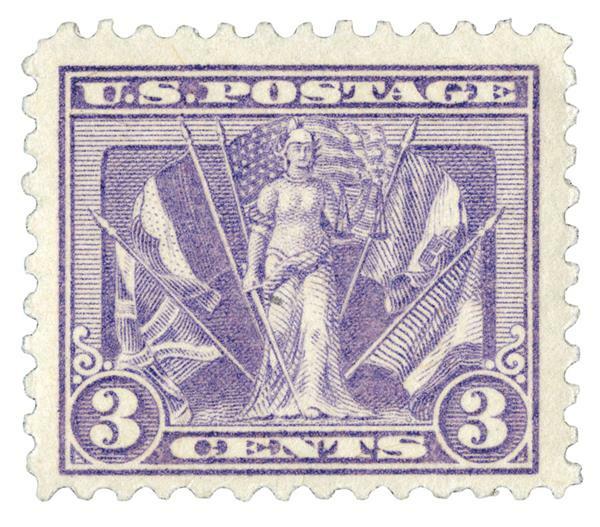 It has been estimated that less than 300 post offices received the stamps, with some only getting one or two sheets each, making them even more difficult to find today. 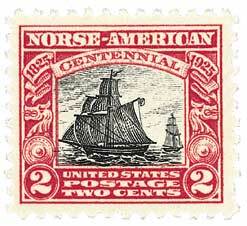 The first Norwegian immigrants in America arrived in New York on October 9, 1825, aboard the ship Restaurationen. 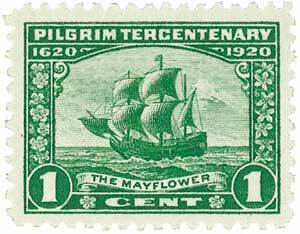 Upon arrival in America, the captain was arrested for carrying 52 passengers, far too many for such a small ship. 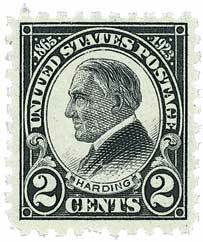 President John Quincy Adams pardoned him a month later. 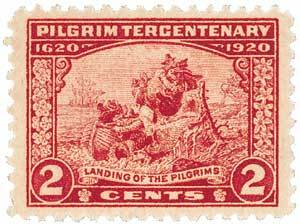 The passengers from the ship established their first settlement at Kendall, New York. 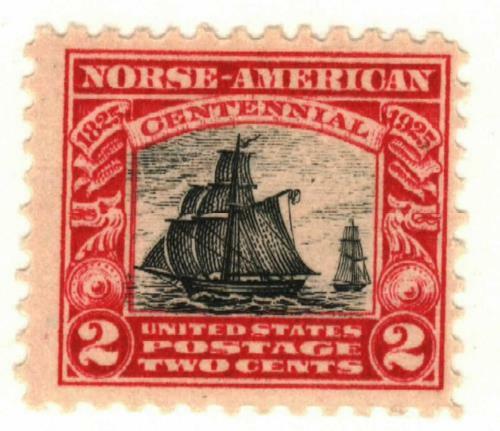 With no known images of the actual Restaurationen, the design for this stamp was based on a sister ship of similar design, built at the same time and place as the one honored. 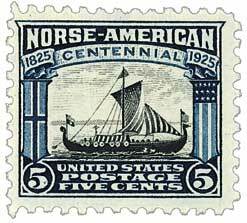 The stamp’s detailed frame pictures dragon heads and shields similar to those found on ancient Norse ships.